The Bloomingdale Creek Rustic Home has 4 bedrooms, 2 full baths and 1 half bath. The stunning two-story great room offers a large wall of window accents, a cozy fireplace and an expansive doorway leading into the breakfast area. A cheerful C-shaped kitchen boasts a double-bowl sink, generous pantry for dry goods and a snack bar to enjoy quick meals for the family on the go. The second floor has a lot to offer with three bedrooms, a linen closet, a full bath and a generous bonus room perfect for a kids play area or game room. 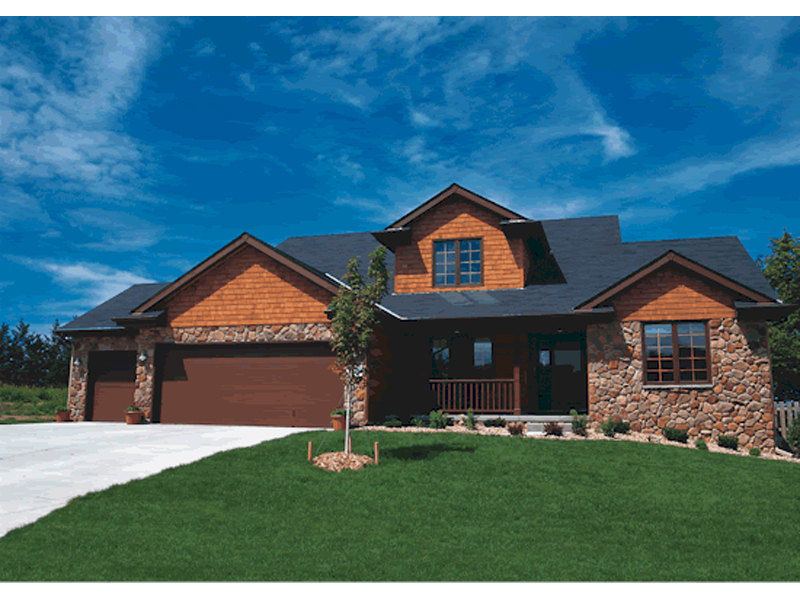 The Bloomingdale Creek home plan can be many styles including Rustic Home Plans and Mountain Home Plans.